Has HMV begun the long road back? 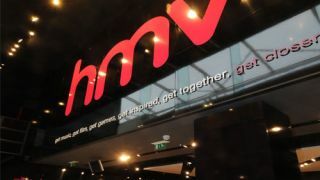 Troubled entertainment retailer HMV has been thrown a lifeline after restructuring firm Hilco bought up the company's crippling debt. The high street giant, which collapsed last week, has continued to trade with all stores remaining open, while administrators Deloitte searched for a suitable buyer. Now Hilco, which also owns HMV Canada, has acquired the firm's estimated £176m debt (reportedly at a reduced price) from Royal Bank of Scotland and Lloyds HSB. Talks are now ongoing with Deloitte and, according to reports form the BBC, Hilco will seek to take full control of the 92-year-old firm and embark on the road back to prominence. In a statement, Hilco announced: "Hilco UK confirms that it has acquired HMV's debt from the group's lenders. It has not bought the business itself. "Hilco believes there to be a viable underlying HMV business and will now be working closely with Deloitte who, as administrators, are reviewing the business to determine future options." The BBC also reports that the group of record labels and movie studios, who refused to bail out HMV in the first place, are in favour of Hilco taking control. We'll be following this one closely. As of right now, it looks as if HMV may not be disappearing from our high streets after all. However, whether Hilco can find a way to compete with the supermarkets and digital retailers is a different matter altogether.